Guerlain Teint Dore Moisturising Bronzing Spray is a gentle gel-cream, which sprays effortlessly on the body, legs, arms and decollete. 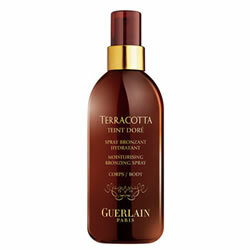 Guerlain Terracotta Teint Dore Spray is exceptionally easy to use with subtle and beautiful results that last all day. Guerlain Terracotta Teint Dore donates the skin a subtle make-up effect that perfectly simulates the natural glow of a tan. 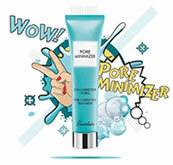 Guerlain Terracotta Teint Dore Spray also donates the skin a silky soft and moisturised texture donating the skin 12% more hydrating after six hours. 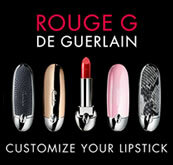 Guerlain Teint Dore Spray makes the skin feel ultra-comfortable with a long-lasting, goregeous bronzed effect. 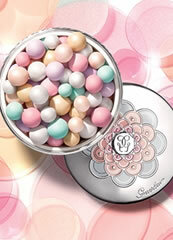 Guerlain Teint Dore simply melts into the skin, spreads easily and dries instantly without staining clothing, thanks to a special colour fixing polymer.